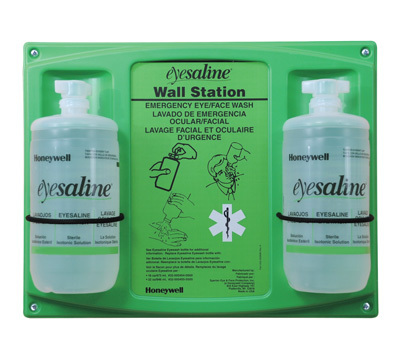 Provide immediate flushing until the injured person can be helped to a primary emergency eyewash station. 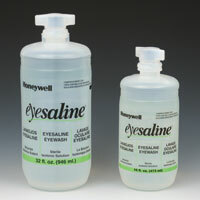 Dual sterile saline eyewash has tamper-evident caps. 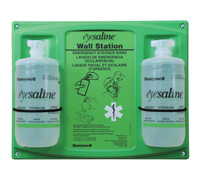 Meets ANSI Standard Z 358.1 for supplemental equipment.